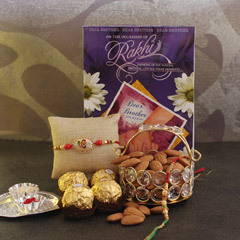 Gifting brings a lot of happiness for the receiver and the giver. 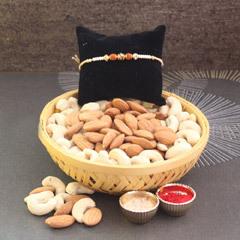 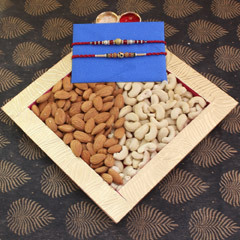 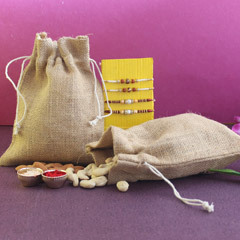 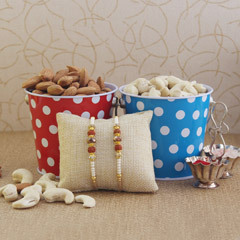 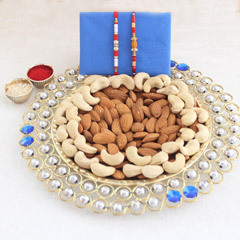 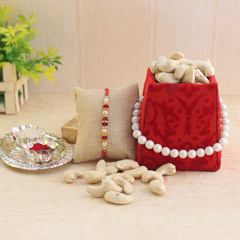 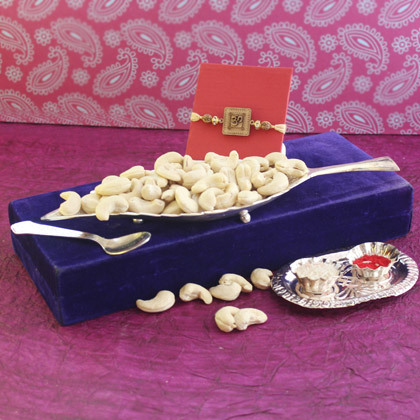 Same will happen to you and your brother if you make choice for this wonderful gift combo that is inclusive one very beautiful Rakhi with a designer leaf shape serving bowl for cashews that comes with the gift combo. 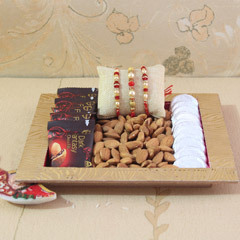 So, think no more, just hurry to buy this wonderful gift to surprise your dearest bro.